JOHANNESBURG, (CAJ News) – THE inspiring journey of Hope Makhavhu shows that entrepreneurial opportunities are usually right under people’s noses,waiting to be seized. Makhavhu (40) had always found it hard to use the outside lavatories whenever he visited his grandmother in Venda, hence he devised a business idea centered on improving these kinds of lavatories. 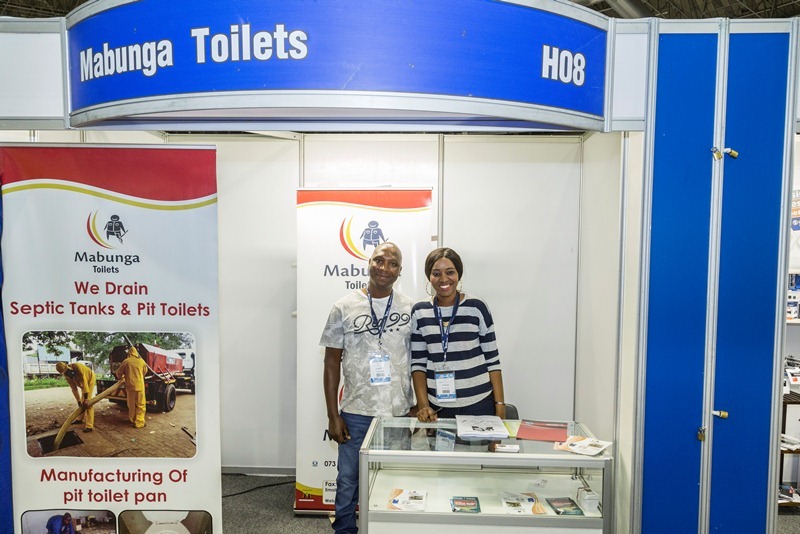 His company, Mabunga Toilets, which was established in 2007, specialises in draining pit latrines and septic tanks in rural areas. Among the company’s biggest customers include the Departments of Health and Basic Education in Limpopo. The department had a problem of a lack of hygienic and safe lavatories for learners,which Mabunga solved by providing both lavatories and septic tanks. Mabunga Toilets also redesigns and improves the pit latrines using ceramic seats,insert tiles and make them look better, which has helped reduce problems of children falling into them. Prior to establishing the business, Makhavhu conducted research in the Vhembe District, to determine its viability by understanding the causes of the area’s sanitation problems. He established that generally poor hygiene and that many people did not appreciate the importance of washing their hands after using the lavatory and there was a lack of proper infrastructure. “We realised that although this problem could not be solved overnight, by providing improved lavatory structures to each household, we could work towards finding a solution,” Makhavhu said. The Thohoyandou-based company also recycles waste and uses it to produce compost. It purifies water taken from septic tanks in rural areas to make it suitable for watering plants. The company has 12 employees and their customers include community members, schools and government. achievements, featuring twice as a finalist in the annual Eskom Business Investment Competition (BIC) in 2014 and 2016. This helped create solid business connections at the annual three-day Small Business Expo (SBE) in Johannesburg. The company also got the opportunity to exhibit at the SBE as part of their prize of being a BIC finalist.